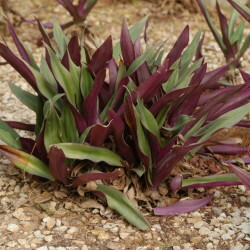 Boat Lilies are stout perennials with upright shoots up to about 40 cm in height. 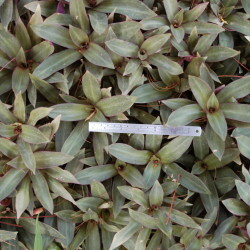 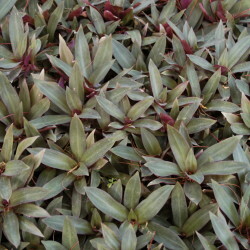 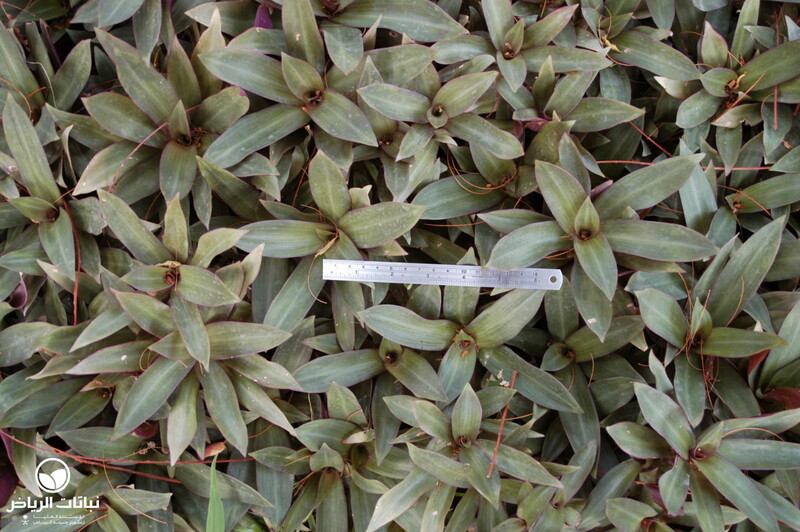 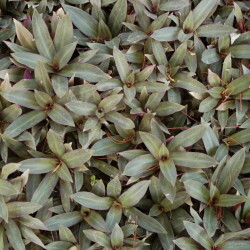 They grow in clumps with lush-green leaves some 30 cm long. 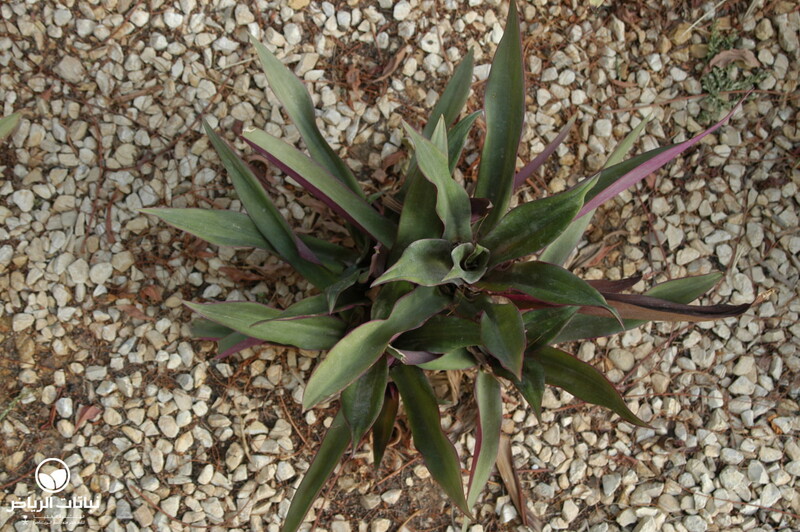 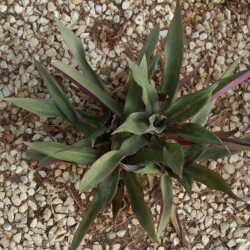 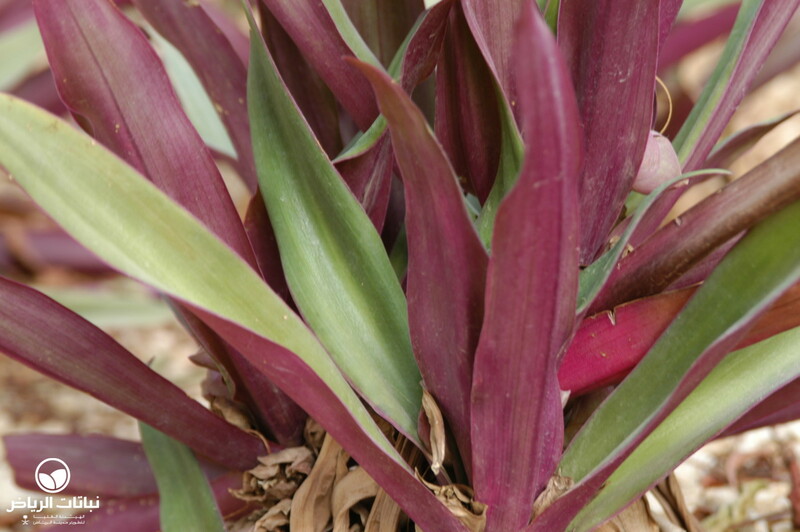 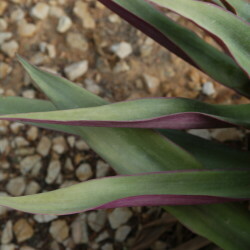 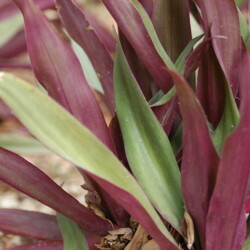 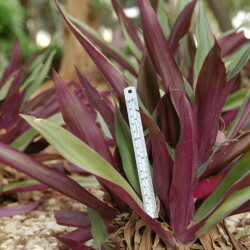 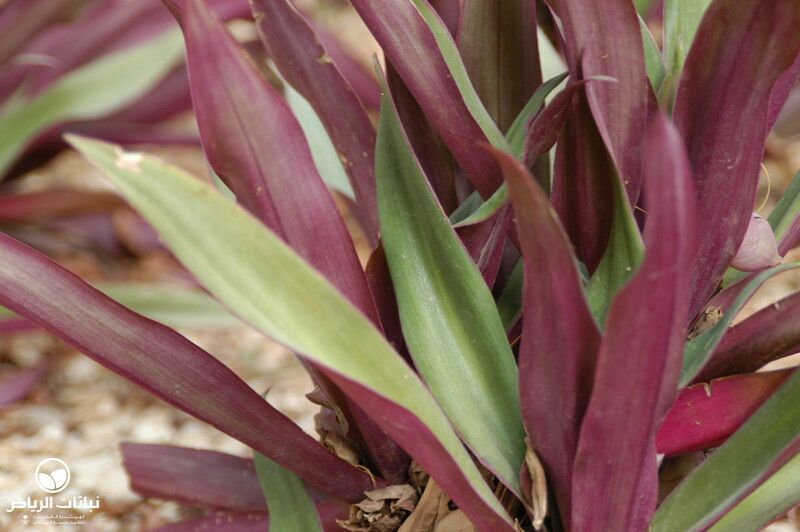 From beneath, the lance-shaped foliage is burgundy-purple, creating an interesting contrast. 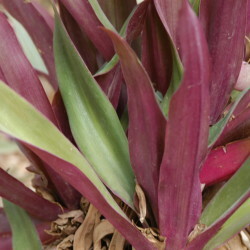 Their origin is southern Mexico, Belize, Guatemala and the West Indies, where they flower all year round. 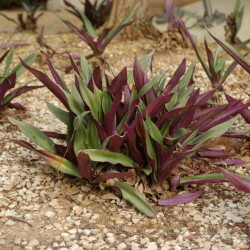 In Arriyadh, small flowers appear whenever conditions are favourable, from boat-like cradles to eventually develop to round seeds. 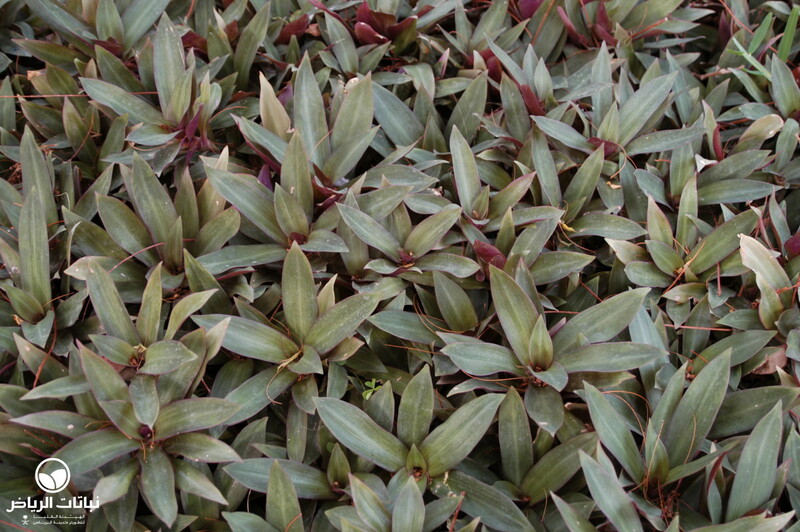 These easily germinate to form plenty of seedlings, ultimately creating dense mats. 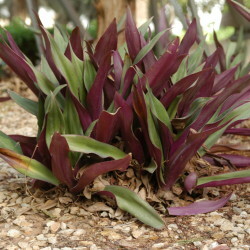 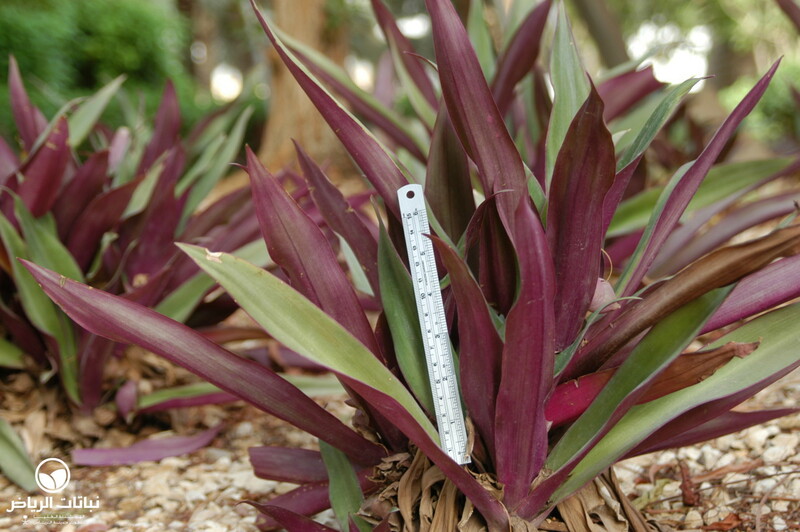 It is possible to prick these offspring or take cuttings from stems or leaves to propagate Boat Lilies. 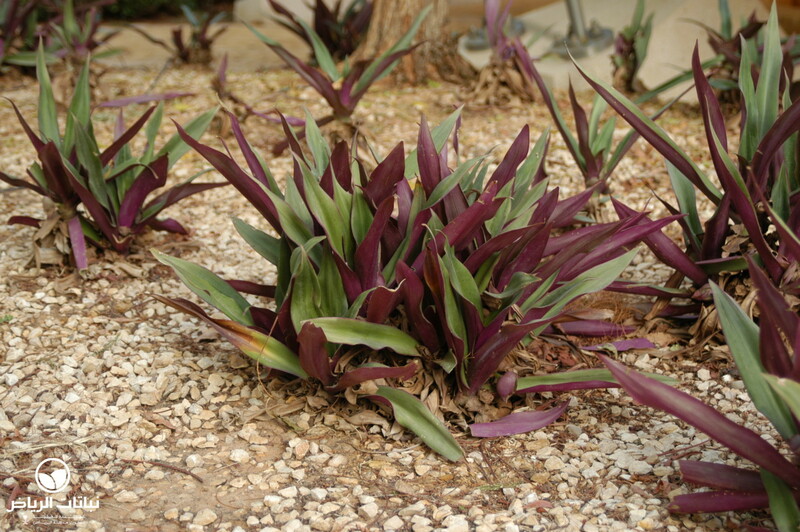 They grow readily in a wide range of soils, as long as these are well-drained, and they tolerate diverse light conditions ranging from full sun to partial shade. 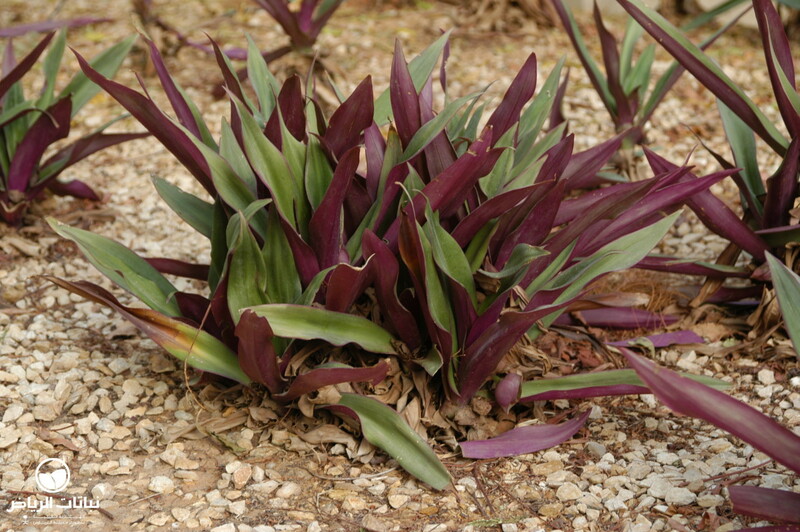 Although these perennials re-grow after nipped back by frost, exposed sites should be avoided. 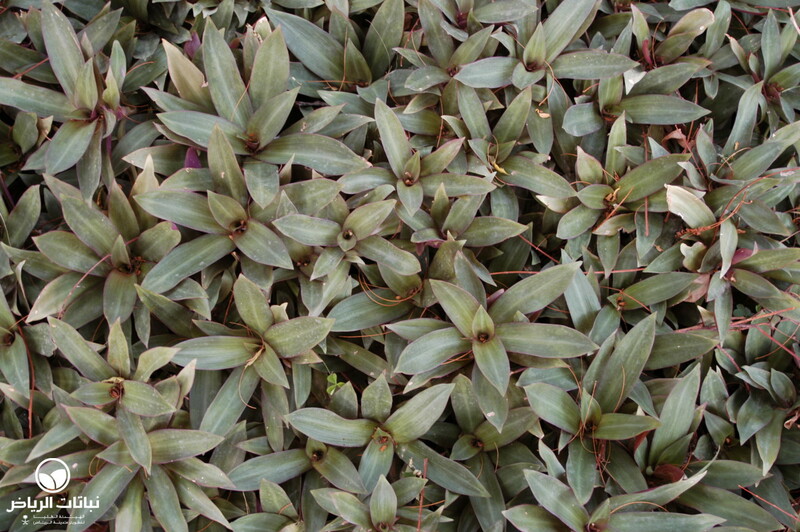 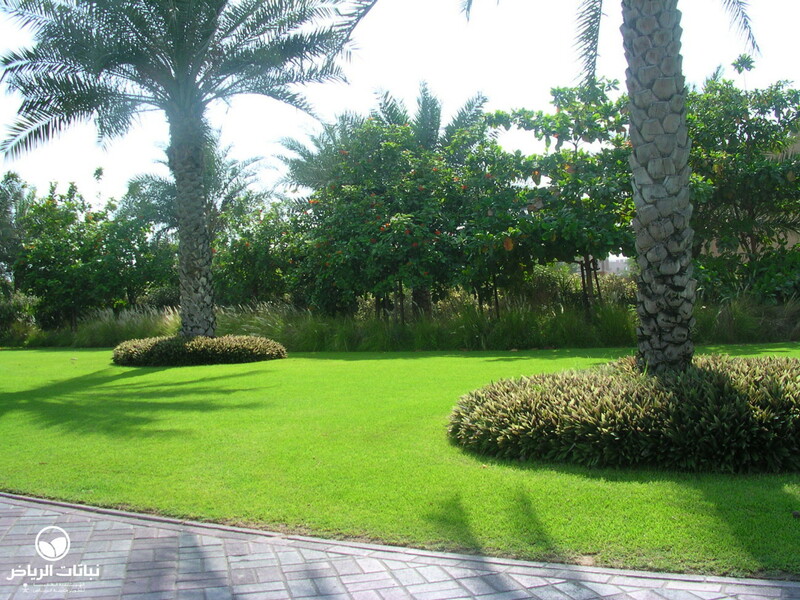 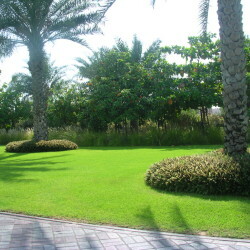 In time, the plants become dense clumps which can be used as border plants, areal cover, mass planting or group planting with a spacing of between 30 cm and 60 cm. 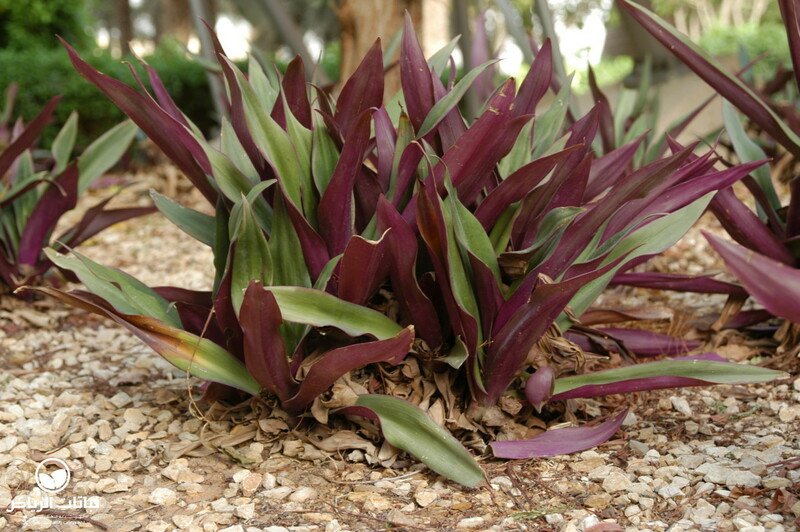 They do well in containers and are popular house plants, but they are susceptible to the effects of stagnant water and prolonged drought. 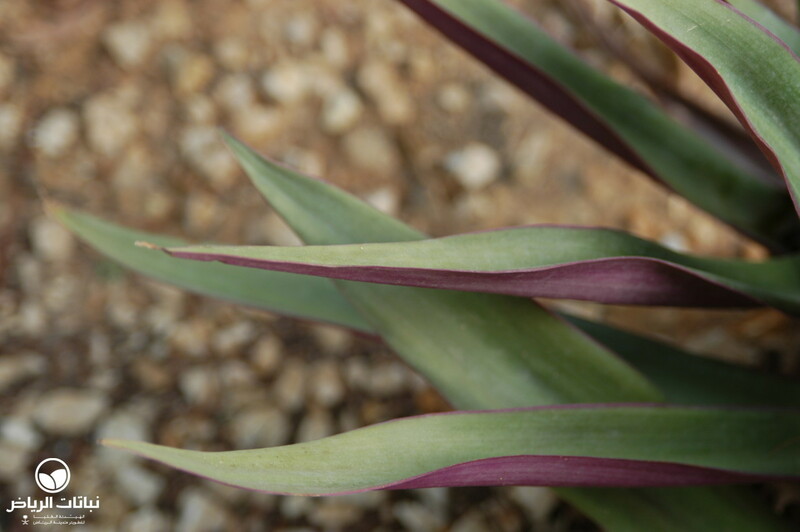 A cultivar named ‘Variegata’ has cream-coloured stripes and less vigour than the species. 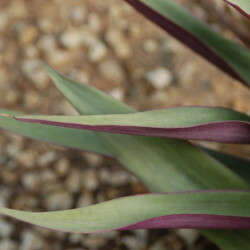 It must not be exposed to full sun, because the variegation will soon be sunburnt. 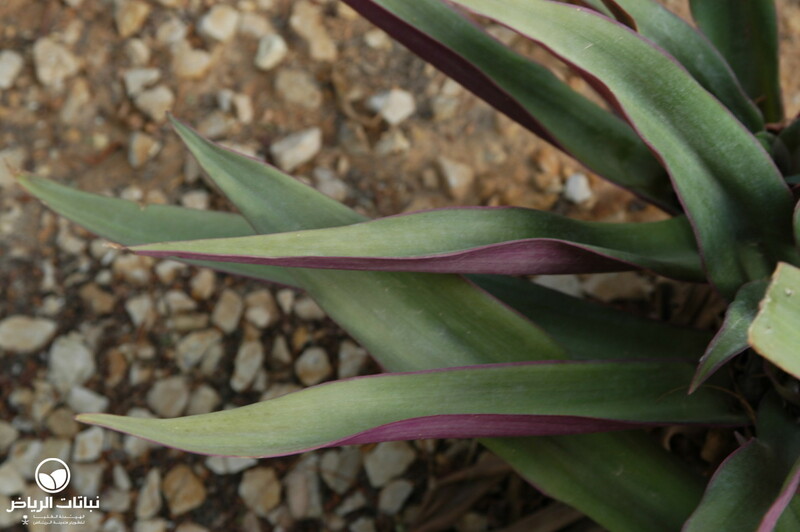 Plants should be handled with care, especially if cut or bruised, since the sap may cause skin problems.